Meaning what practices and/or products do you use/do to give your hair growth rate a boost? NOTE: Those pregnant or that have high blood pressure should NOT use rosemary essential oil. I luv jojoba oil b/c it's light and my scalp absorbs it. When I tried other oils that my hair likes like EVOO or coconut oil, my scalp wasn't havin it and it would create nasty build up. But you have to choose an oil that works best for you. For some, EVOO or another oil is just fine. Experiment. Trial and error is the only way you are going to discover what your scalp and hair likes and dislikes. There are a plethora of other essential oils that aid in stimulating growth like lavendar oil, eucalyptus oil, ylang ylang, sage, etc. Once again, experiment. These are just the ones that I like in my blend but by all means, do you. If you don't like peppermint oil or how rosemary oil smells (b/c it is on the strong side), then use another. Like I always say, the world is your oyster ladies! I don't do scalp massages anymore (too lazy) but they are also great for stimulating growth; giving your current growth rate a boost. I posted a vid back in January demonstrating the proper way to do scalp massages. I feel that this should be in everyone's hair growth potion. Your hair is growing everyday buuuuut it just doesn't grow 0.5" a day, ya know? 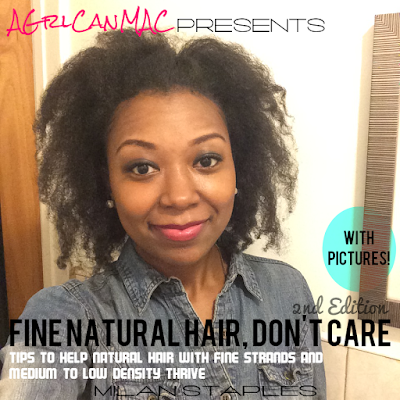 So you just gotta chill: take good care of your hair, preserve those ends b/c that's how you keep your length/growth (a whole nother post! ), be as healthy as you can and it will all come together. Taking pictures monthly or bi-monthly is the best way I see my progress and say, wow, my hair really IS growing. For me, that's one of the only ways I can tell. Give it time. Even God needed a few days to create everything!